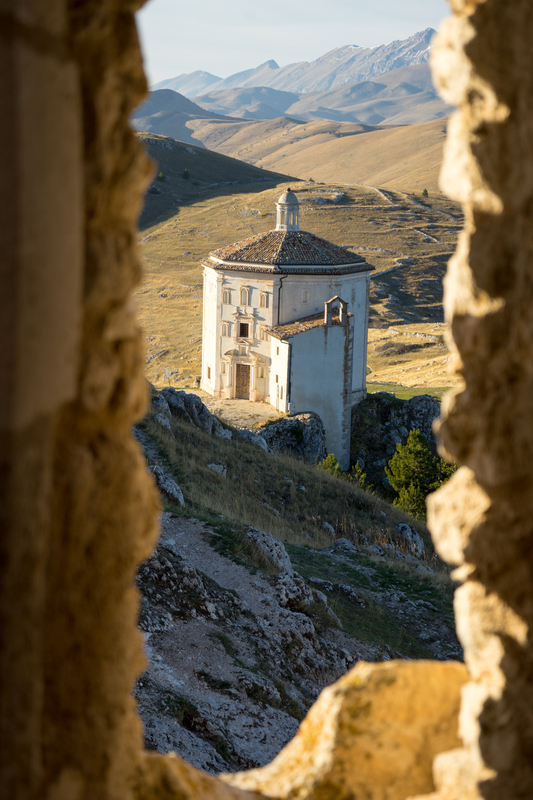 There are many variations on caponata depending which region of Sicily the recipe originates. 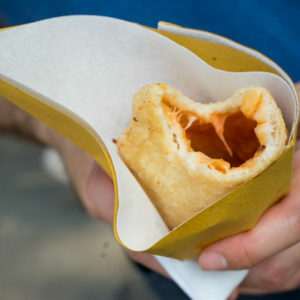 This one is from Menfi and is from the grandmother of Angelo , the head chef at Planeta’s estate in Menfi. 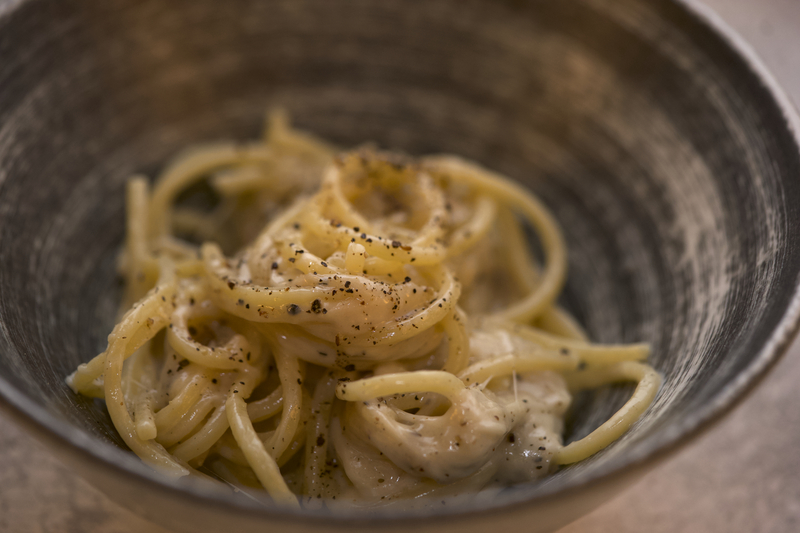 This recipe is excellent as it is not in the least oily and is rather light with refined, perfectly balanced flavours. 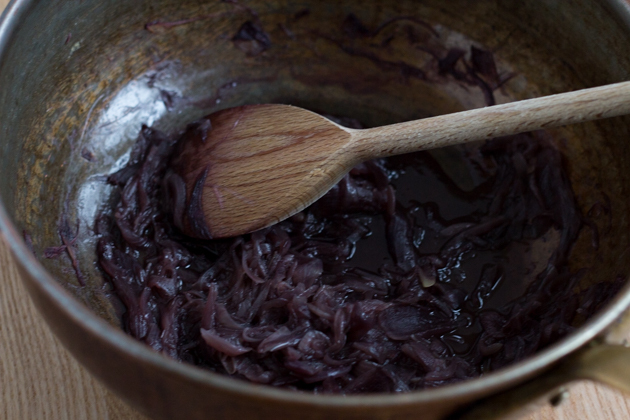 No oil is used in caramelising the onions, bringing out its natural sweetness without adding any heaviness to the dish. 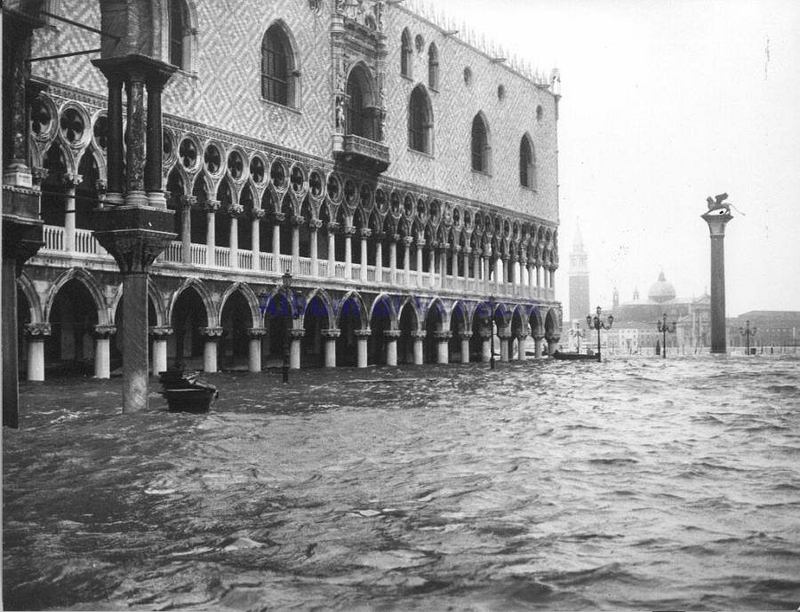 Other variations include using zucchini, peppers, potatoes, olives, artichokes, apples, anchovies, sardines, chocolate, basil, pine nuts instead of almonds, tomato paste instead of fresh tomatoes, honey instead of sugar and sultanas. 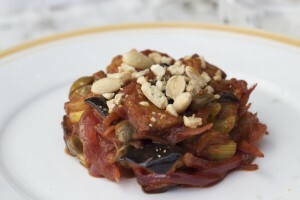 It is thought that caponata’s origin is a marriage of the arab influence of sweet and sour and the French dish, ratatouille, introduced by the Bourbons. 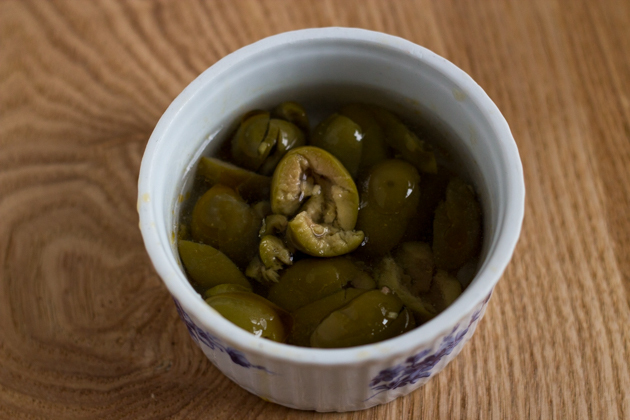 Caponata can be made in large batches and stored in jars sealed with olive oil in the refrigerator for up to 6 months. 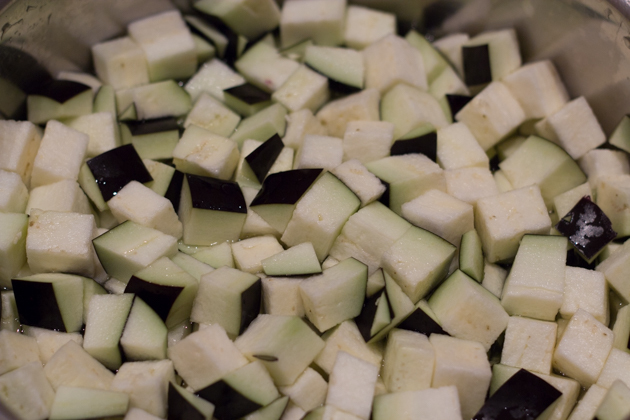 Soak the aubergine for at least half an hour in cold water to cover with 60 grams of salt mixed in. This removes any bitterness from the aubergine and prevents the aubergine from absorbing too much oil. 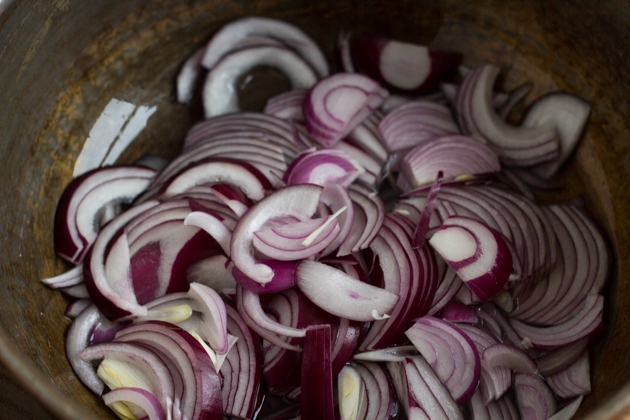 Add 100 mls of hot water to a large saucepan and add the onions over low heat. Cook for 1 hour, adding hot water as needed until the onion begins to lose its form. Meanwhile fill a small saucepan with water. Heat the water over medium high heat until it boils. Fill a medium sized bowl with cold water and add ice. Score the tomatoes, put into the boiling water and wait until the skin starts to loosen (it should be less than a minute). 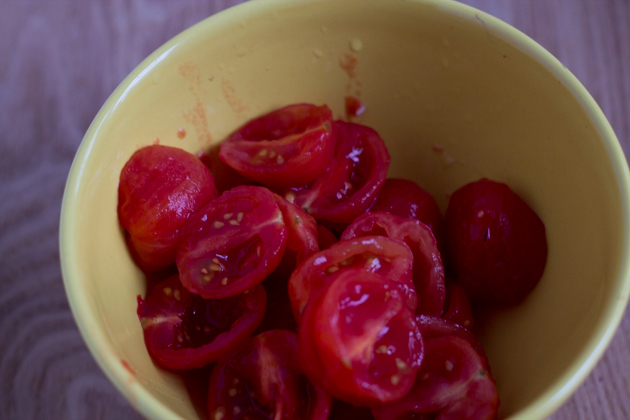 Using a slotted spoon, put the tomatoes in the ice water and remove the skin and seeds. 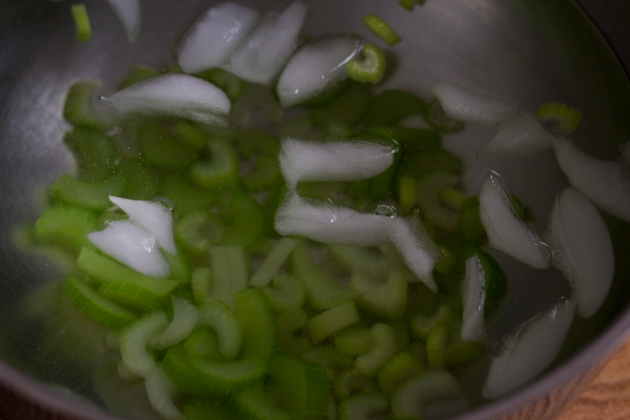 Add the celery to the hot water and boil for 2 minutes and remove with a slotted spoon into the ice water. 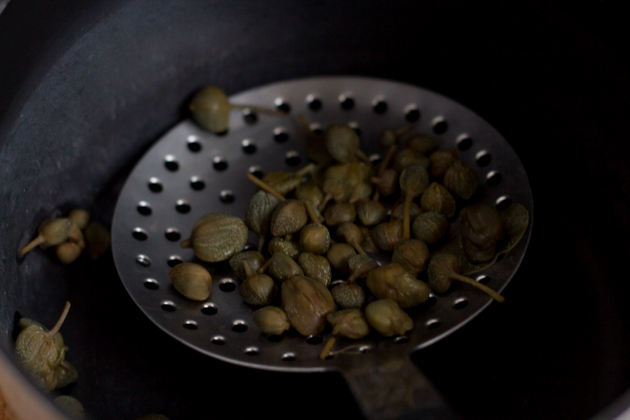 Next add the capers to the water and boil for 2 minutes and remove with a slotted spoon into the ice water. Add the celery to the water and boil for 2 minutes and remove with a slotted spoon into the ice water. Next add the capers to the water and boil for 2 minutes and remove with a slotted spoon into the ice water. 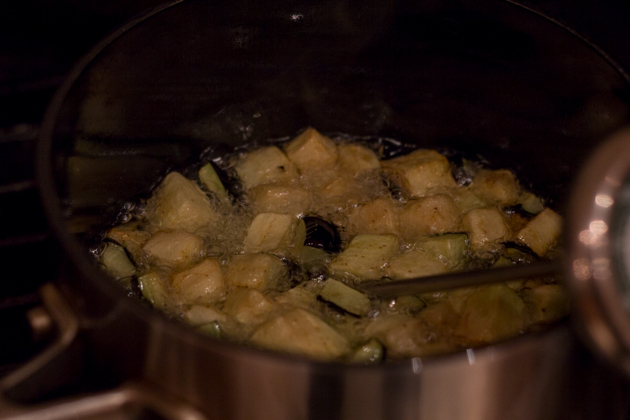 When the aubergine is done soaking, drain the water. 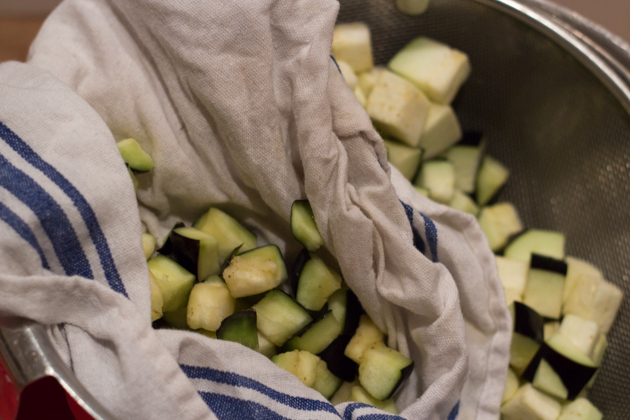 Use a dish cloth to squeeze any excess moisture out of the aubergine. Place a paper towel on a plate and set aside. Pour the sunflower oil into a saucepan to a depth of 10 cm and heat over medium heat. 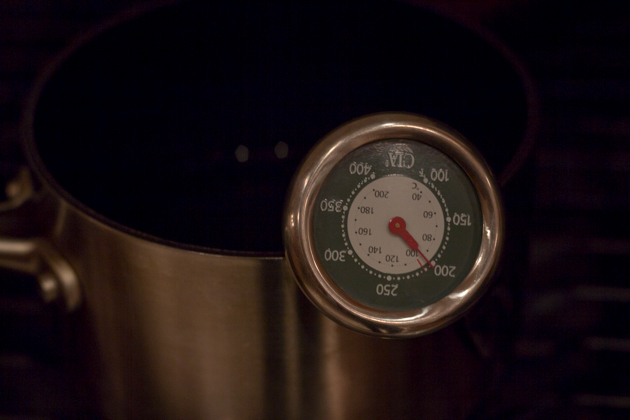 Use a candy thermometer to measure the temperature. When it reaches 190C, add some of the aubergine so it forms a layer in the oil but is not overcrowding the pan and reducing the temperature of the oil too much. Fry the aubergine for 5 minutes until golden brown. 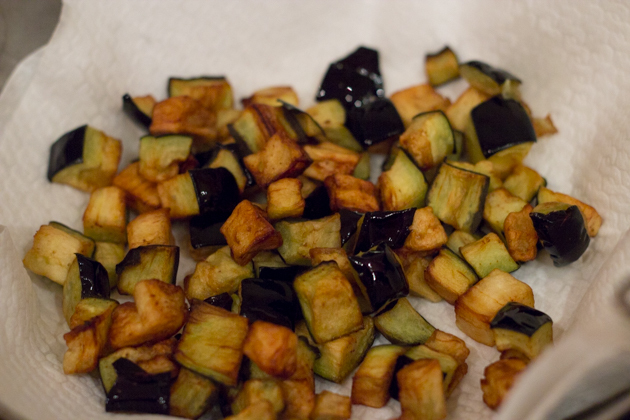 Use a slotted spoon to remove the aubergine and place it on the paper towel lined plate. Repeat until all the aubergine is cooked. 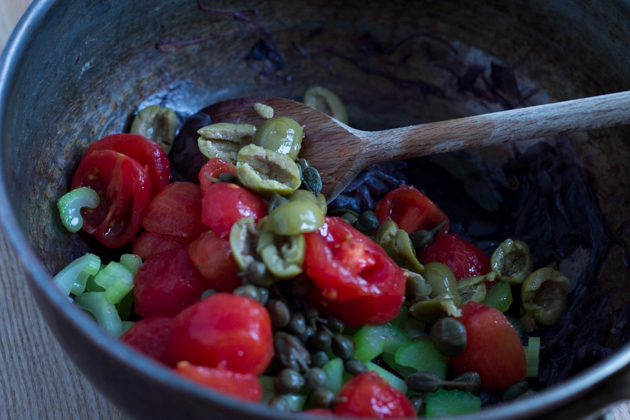 When the onion is finished cooking, add the tomato, celery, olives and capers to the onions and cook for 10 minutes. Add the vinegar and sugar and cook for another 2 minutes. Add salt to taste. 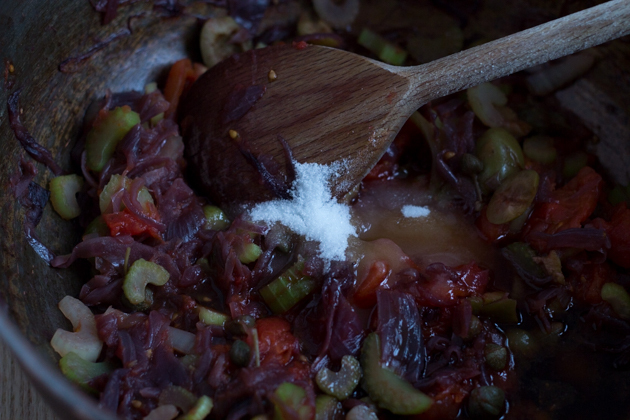 Place the aubergine in a container and pour the onion tomato mixture over the top. Drizzle the top with olive oil. Let the mixture cool and keep refrigerated for at least 2 hours to overnight. Garnish with the almonds when ready to serve. 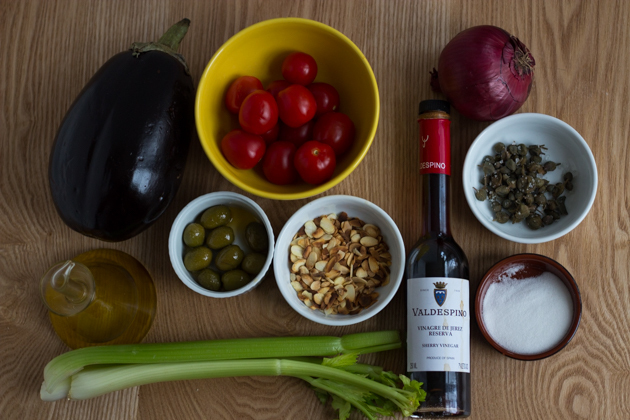 The caponata can be kept in the refrigerator for up to a week or jarred and sealed with olive oil and kept in the refrigerator for up to 6 months. Love this ! I use Pignoli nuts in mine. 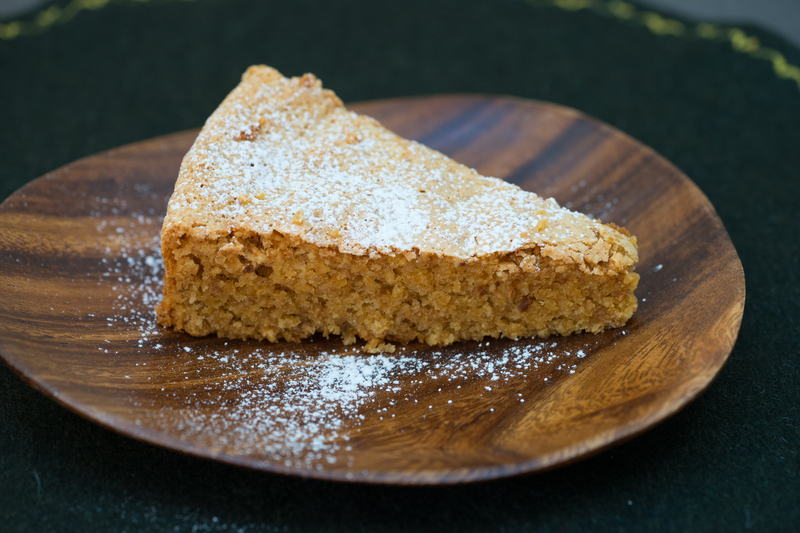 Yes I have often seen the pine nut version and I like the crunch it adds to the texture. I have yet to try the chocolate version though. Have you tried it?